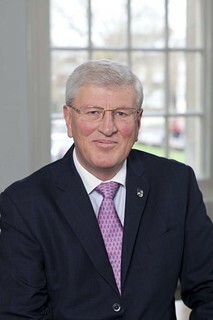 David Hodge has become the first Surrey County Council leader to secure one of the most influential roles in local government. He has been elected leader of the Conservative group at the Local Government Association (LGA), which represents nearly 400 councils in England and Wales. At the same time, the Surrey leader has been installed as one of the LGA’s four vice chairs and the roles put him among the country’s most senior local politicians. Previous group leader Gary Porter, who is the leader of South Holland District Council, has taken over as the LGA’s chairman. Mr Hodge said: “I feel privileged and honoured to take on such an important responsibility. “The issues we’re facing in Surrey are also being confronted by councils across the country and I’m determined to ensure they are firmly on the government’s agenda.